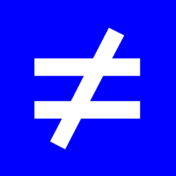 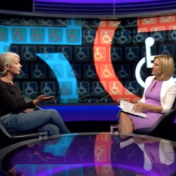 Are foundations doing enough to understand disability equality issues and the lived experience of disabled people? 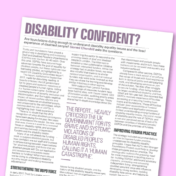 Article by Sioned Churchill, Director of Special Initiatives and Evaluation at Trust for London, in Trusts and Foundations News. 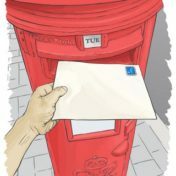 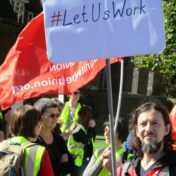 On Tuesday 5 December, court papers in a legal challenge were served on the Department for Work and Pensions over its introduction of the Access to Work cap, a measure which limits the amount of support that individuals can be awarded by the once flagship disability employment scheme. 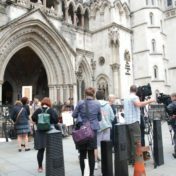 A Disabled person with support from Inclusion London and other Disability charities is bringing a challenge to the unfair and discriminatory way those with psychological distress are treated by the Personal Independence Payment (PIP) rules.